So, your big day is coming up quick! 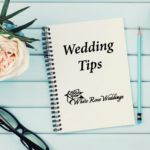 Our team put together a quick list of different aspects of the wedding reception from the Disc Jockey perspective. These questions we always ask our clients and hopefully can help you too! If you have any questions please do not hesitate to contact us! of a three-pronged grounded electrical outlet. father/bride song for first verse with mother/groom joining in after first verse/chorus? father/bride and mother/groom dancing together from the beginning of song? song to open dance floor? placing of garter of the girl who caught bouquet by the guy who caught the garter?